February 20th 2017 will see the release of the long awaited third album ‘Into the Arms of Darkness’ by Belgian eclectic doom metal quintet Marche Funèbre. 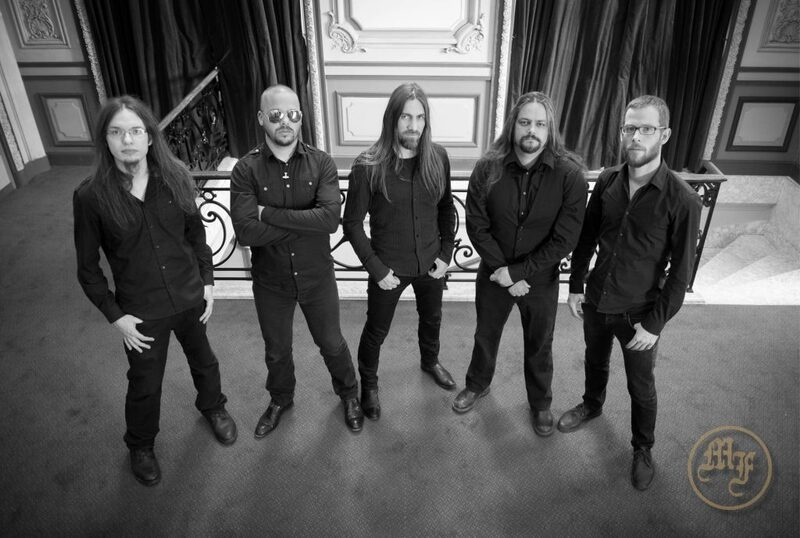 After the release of their sophomore album ‘Roots of Grief’ in 2013 the band toured extensively, with ao Saturnus, Ophis, Officium Triste & Eye of Solitude, bringing the band in new territories. 2015 saw the release of the limited 7″ EP ‘Lost’. Last year the band camped in Markus ‘Schwadorf’ Stock’s Klangschmiede Studio E to finally record album n°3. Hereby they proudly present the artwork, tracklist and first teaser with new material. Images are taken from the video shoot they did for Lullaby of Insanity, out due Friday 27th of January. ‘Into the Arms of Darkness’ will be released on CD by Moscow Funeral League, in association with Bad Moon Man Music & Frozen Light. A double vinyl edition will see the light of day as well. Official album release will be held at Darken the Moon fest VII, 25 March 2017 at Het Bos, Antwerp (B), with headliners PRIMORDIAL, and 3 more bands.